Meets specific ANSI requirements for flame retardance and low smoke production. Generally used in public building or HIPPA compliant office environments. 23AWG 4 pair UTP (Unshielded Twisted Pair) Water Based outdoor rated. ETL (US and Canada) certified. Bulk CAT6 cable is useful for creating custom length cables. Cat6/6a supersedes Cat5e cable and is capable of up to 10 Gigabit speeds. These cables come in solid or stranded wire, regular PVC jacket, shielded and plenum rated and are available in easy pull or reel in box. 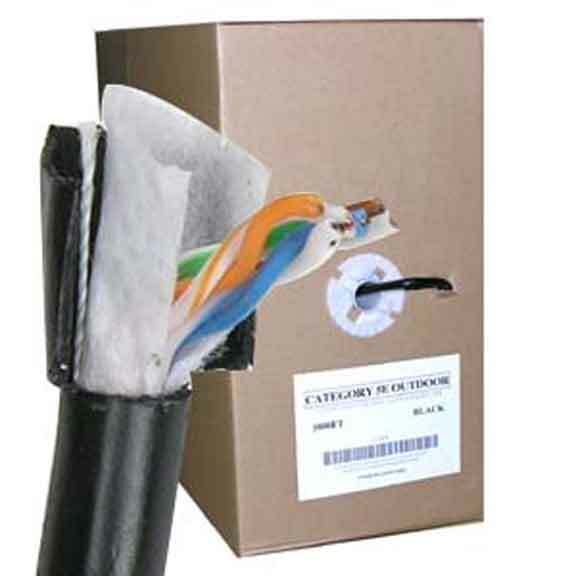 We offer a range of Cat 6/6A Bulk Wires including shielded stranded wire, solid wire, ethernet network cable, solid cable plenum, solid wire bulk cable, ect. All our bulk cables are available in 1000 ft length. We believe in providing high quality bulk wires in wholesale rates. We source cables directly from manufacturers, passing over the middlemen commissions to our customers in the form of discounts. We also give lifetime technical support on our cables thus ensuring superlative after sales service also.